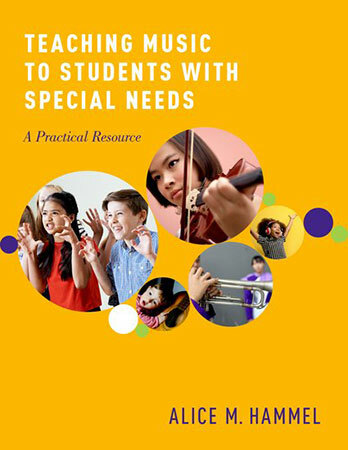 This resource is a result of collaboration between K-12 teachers, outstanding undergraduate and graduate music education students, and professionals in the field and brings together theory, policy and planning for instruction in any music classroom. The lesson ideas, lesson plans, and unit plans are organized according to the six domains posited by Alice Hammel and Ryan Hourigan. This book equips music educators with understanding necessary to implement teaching ideas into the domains of cognition, communication, behavior, emotions, and physical and sensory needs. Classroom-tested lesson plans include procedure outlines and assessments as well as guides for adaptation, accommodation, and modification needed for successful implementation in K-12 classrooms and provides teachers with enough practical ideas to allow them to begin to create and adapt their own lesson plans for use with students of differing needs and abilities.